I love all the enticing elements of nature that fall brings with it, especially the rare wildlife that comes out during this wonderful time. Want to welcome the sweetness of autumn into your screens this month? 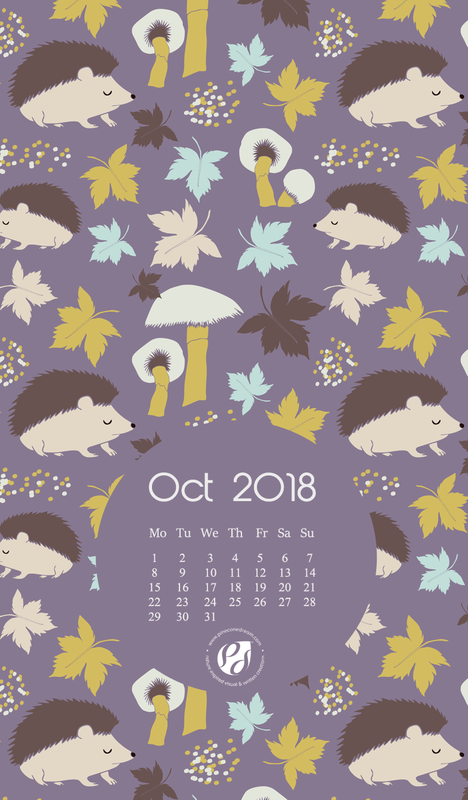 Download these cute October 2018 calendar wallpapers for your desktop, smartphone and the printable monthly planner from the link below the banner, for free! 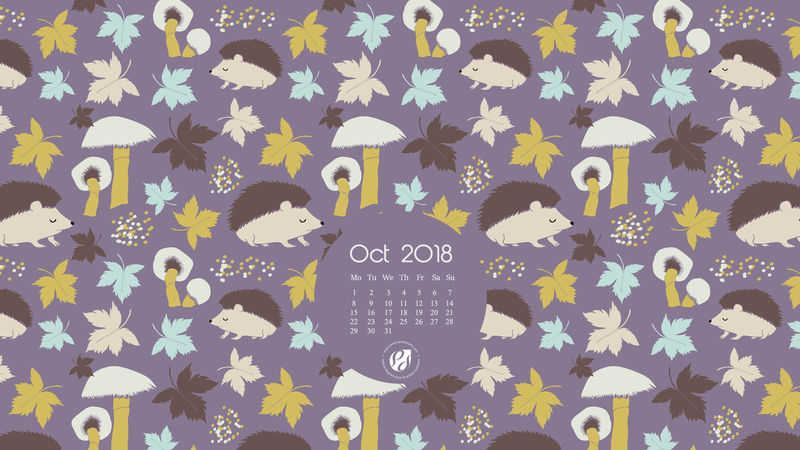 While brainstorming for my surface pattern design for the month of October, I was thinking about various animals that appear in fall. Suddenly I remembered this movie I watched before a while and decided to keep hedgehogs in the design! You cannot modify, distribute or sell these calendars/Greetings in any form!